The Pod All Roada off road camper trailer is an unusual camper trailer in that it is made of plastic and yet will follow anywhere you may want take your AWD 4WD SUV. Having seen it at Caravan and Camping shows since 2006 it appears that this stylish, versatile and strong camper trailer is here to stay. You can order one fully decked out with independent suspension, treg hitch, off road tyres and a bunch of other accessories. 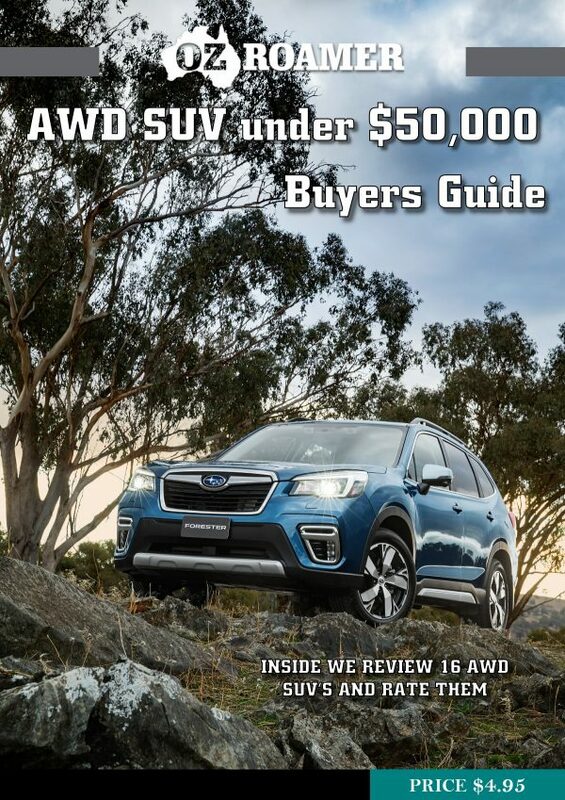 It is absolutely ideal for AWD SUV’s with a light weight and negligable tow ball rating. Made from recycled plastic and 6 to 8mm UV stabilised polyethylene it reminds you of your wheelbarrow or Ute liner. The extra deep 360mm tub sits on top of a heavy duty galvanised chassis and is rust proof, has a quick release lid and heavy duty tie downs. Normal off road camper trailers are necessarily heavy to give strength with heavy duty components, not so the POD All Roada at only 320kg tare weight your not lugging dead weight around with you. Whether you’re thundering down punishing tracks or cruising along wide-open beaches, you will forget you had anything on the tow-ball. The internal dimensions are 1820mm long, 1200mm wide, and 650mm deep to the lid and can carry a maximum all up weight of 750kgs. That means that you have approximately 430kgs of useable luggage weight. If you fill that you are taking way too much for your trip. With its soft travel off-road suspension and aerodynamic shape, the All-ROADA has to be the most versatile and economical off-road trailer to tow anywhere. In the world of off road camper trailers the POD All Roada is an enigma. Well worth looking at we will have an extended review coming up soon. GT Campers have cleverly designed a camper that sits atop a ute back and uses the ute wells from popular makes as the base. There are three versions. The GT Campers Hilux Expedition that sits on back of a well back Hilux and the GT Touring On Road Camper Trailer and GT Off Road Camper Trailer which we are reviewing here. The Pod All-ROADA 4X4 Trailer is a versatile, light and robust ‘plastic’ off road trailer that weighs bugger all at 380Kg and will take 400Kg of gear.